If you were there… You would have heard a surprising story about the mystical star that today inspires the annual crowning of cultivated saplings and the proud decoration of many homes. A star believed by many sent to glorify a newborn king. But there is a sinister side to the tale many have never been told. It is the untold story of a manipulated star that led unsuspecting astrologers to a jealous king bent on eliminating a rightful ruler. An artful star that indirectly influenced a hidden infanticide that neither clerics nor profiteers want to talk about or remembered. 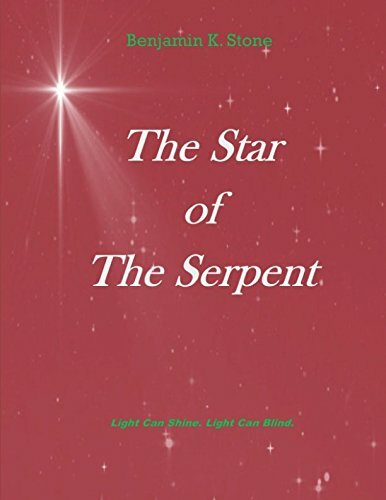 A pretending star of light guided by one known as "the serpent". This ebook publication will be available for FREE download on Saturday, December 30, 2017. Please share the ebook and leave a review after reading. Thank you and enjoy. Free ebook download December 25 and 26, 2018.